Helen M. Paul, 85, of Westborough, passed away on Wednesday, April 3, 2019 at home. She was the wife of the late Joseph O. Paul. Born in Hopkinton, she was the daughter of the late Peter and Concepcion (Morales) Martin and was educated in Hopkinton schools. Helen worked at Bay State Abrasives for over 50 years prior to her retirement. 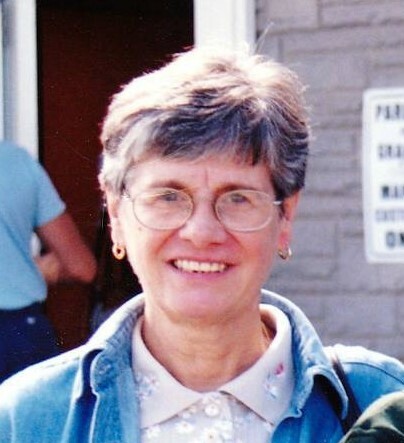 She was a communicant of St. Luke the Evangelist Church and was a former volunteer for Meals On Wheels. She enjoyed bowling, playing cards and was an avid Red Sox and Patriots fan. She is survived by one daughter, Anna-Maria Paul of Grafton; two granddaughters, Amie Brooks and Lucille Brooks; two sisters, Annie Marcy and Sandra Brennan, one brother, Joseph Martin and five great-grandchildren, Zachary Brooks, Caleb Paul, Aiden Leonard, Lavinia Mayou and Owen Leonard. Her funeral Mass will be celebrated on Saturday, April 6, at 10:00 A.M. in St. Luke the Evangelist Church, 70 West Main St., Westborough. Burial in St. Luke’s Cemetery will be private. Calling hours at the Pickering and Son Westborough Funeral Home, 62 West Main St., Westborough, are Friday, April 5, from 4 to 7 P.M.